Malta has risen to the top during the year as the blockchain jurisdiction of choice, which has earned it the name ‘Blockchain Island’. The Malta Blockchain Summit mirrors the ongoing buzz, and the summit is already sold out on the entire floor plan, with 5000 blockchain enthusiasts expected to attend the show. 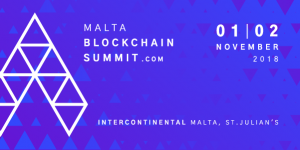 On the eve of the summit, a Blockchain Awards ceremony, along with a Charity Dinner, will be organized by the Malta Blockchain Summit with the Maltese President as a Guest of Honour. Nominations for the awards are now open. Malta has recently earned the name ‘Blockchain Island’, being the first jurisdiction in the world to adopt blockchain regulations, and has also attracted the two largest crypto exchanges, Binance and OKEx. Additionally, Malta is setting the scene for the first ever distributed bank: Founders Bank. The massive scale of the Malta Blockchain Summit, set to take place at the InterContinental on November 1-2, is a reflection of this momentum. 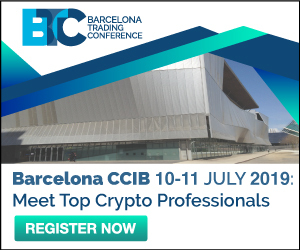 The summit includes four conferences, a buzzing expo floor, a two-day Hackathon, an eclectic ICO Pitch – and ends with a suave Crypto Cruise. The Malta Blockchain Summit is now opening the nominations for the Malta Blockchain Awards. Nominations include Law Firm of the Year, ICO of the Year, Crypto Exchange of the Year, Affiliate of the Year, Investor of the Year and much more. In total eleven various awards will be announced. The nominations will be assessed by six experts from the blockchain space, who will receive and analyse the shortlist. Three finalists will make it through in each category. The winners of each award will be decided by a panel of 32 judges of influence within the blockchain and crypto space. The Blockchain Awards Ceremony is also combined with a Charity Dinner. The dinner is hosted by Eric Benz, Managing Director at Cryptopay and the Maltese President, H.E. Marie-Louise Coleiro Preca is attending as Guest of Honour. This fund-raiser is organized together with The BiG Foundation and all proceeds will go towards the Malta Community Chest Fund and the Kilimanjaro Challenge 12.